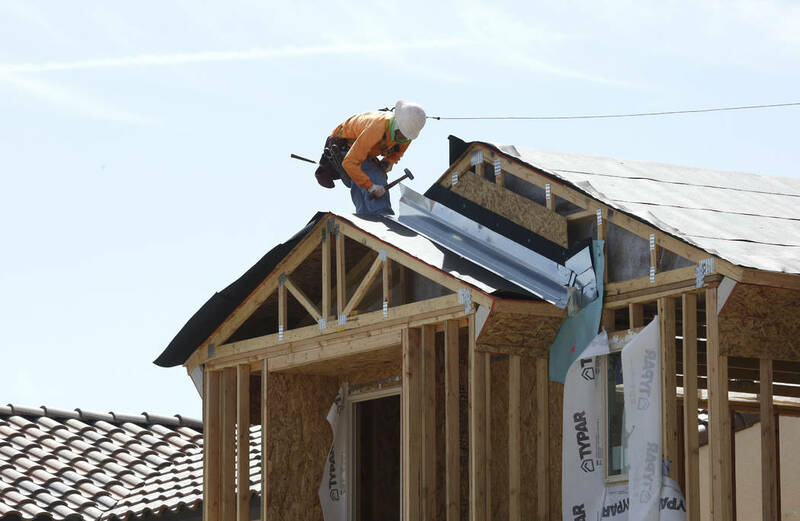 Las Vegas new home closings in October dipped to their lowest number since February but were still higher in comparison to a year ago as building permits remain robust, according to report released this week by SalesTraq. There were 752 new home closings in October, a 4.2 percent bump over the 722 in October 2017. There were 633 closings in October 2016, SalesTraq reported. The 752 closings are the fewest since February when there were 594 closings, and it stopped a string of seven straight months of double-digit gains in monthly home closings compared to the previous year. There have been 7,448 new home closings in 2018, an 18.8 percent gain over the first 10 months of 2017. The median price of a new home homes sold in October was $399,875, an 11.1 percent growth over the $359,950 over October 2017. The $184 a square foot price is nearly 16 percent higher than a year ago. Two years ago, the price per square foot was just under $157 per square foot. There were 811 building permits pulled in October, a 10.3 percent gain over the 735 in October 2017. It’s up from 687 in September, the lowest monthly total of the year. The 811 in October is the second lowest of the year. There were 203 active subdivisions selling homes in October, a 13.2 percent decline from October 2017 when there were 234. October recorded 3.7 sales per subdivision, a 20 percent gain over last year, but that’s the lowest rate since February. The Las Vegas numbers run counter to what’s happening nationally with housing starts down 8.7 percent from November 2017. The National Association of Home Builders sentiment is at its lowest level in two years. Analysts cited rising interest rates as one cause with the 30-year fixed rate at 4.9 percent, a point higher than 12 months ago.